Wild thyme flowers (Thymus vulgaris) - Otago herb plant pest, weed. Established from early gold mining camps. 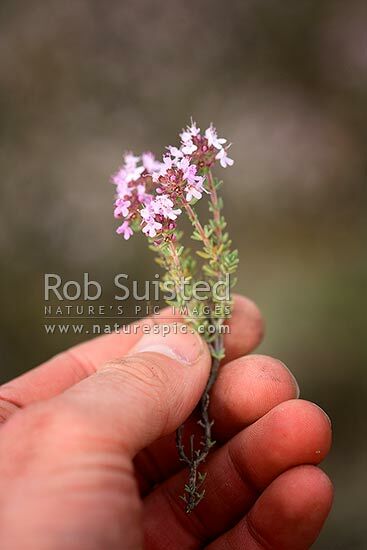 Hand holding an uprooted plant, Cromwell, Central Otago District, Otago Region, New Zealand (NZ), stock photo.